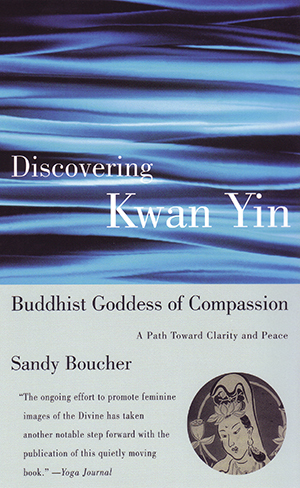 Sandy Boucher, celebrated author of Opening the Lotus and Turning the Wheel, now offers North American readers their first opportunity to share in Kwan Yin’s illuminating wisdom. Along with providing meditations, chants, and prayers this lovely, illustrated volume recounts the stories of this bodhisattva (one who delays her own full enlightenment to work for the liberation of all beings) and explains Kwan Yin’s role in Buddhism. Discovering Kwan Yin is sure to become an important spiritual touchstone for those who seek to celebrate the goddess in their lives, to give and receive the loving power of her presence.